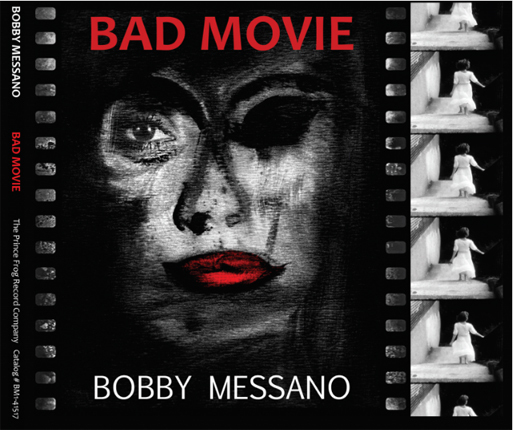 Bobby Messano Collectors Vinyl “BAD MOVIE” Bobby’s newest CD was released on April 15,2017. Bobby Messano Collectors Vinyl is ten incredible songs written with major co-writers Jon Tiven, Larry Weiss and Steve Kalinich and features the amazing “Come To Your Senses” written by Queen founder Brian May and Jon Tiven. Bobby Messano Collectors Vinyl includes the haunting duet “Water Under The Bridge” with Bobby and Alecia Elliott (2001 AMA Nominee) “BAD MOVIE” offers a unique perspective of personal traumas and a country in a state of flux and the early reviews have been outstanding. Get Bobby Messano Collectors Vinyl, Be One of Only 300 who will have the ability to own the Very First Pressing Ever on Vinyl from The Legendary Blues Guitarist Bobby Messano. Reserve your copy now because this will be the only time this release will be available. Bobby has decided to put his solo material on vinyl and a “Bad Movie” limited edition seemed the right way to start. This album features a special tracking of songs, will be hand signed and numbered. This album has been Hitting Number One on all the blues charts and now you can get a very special release on 180g Red Vinyl . The Very First Pressing will be limited to 300 copies, numbered and signed and that is it. Future releases will be different.